22 December 2017: Honourable Fred Musaka of Chadiza Subordinate Court has found all five men guilty of unlawful possession of 25 pieces of rhino horn weighing 32.2kg. In a strong message from the court, each of the men have been sentenced to five years imprisonment. 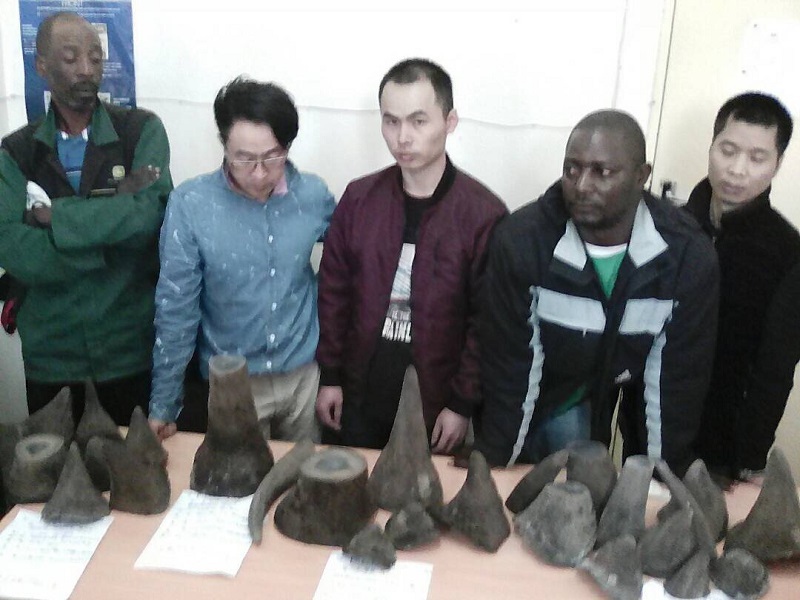 Three Chinese Nationals and two Zambians were arrested for the illegal possession of rhino horn on 27 July 2017 at Chanida border post in the Chadiza District, in Zambia’s Eastern province. The suspects were apprehended by Zambia Revenue Authority officers after entering the country from Mozambique, and a search of their bags revealed a total of 25 pieces of cut rhino horn – a total of 32.2 kilograms. This is one of the first court cases heard in Zambia that involves foreign nationals, illegally-trafficking rhino horn. It was a large haul, coming from several endangered animals, with an impressive value on the illegal market. 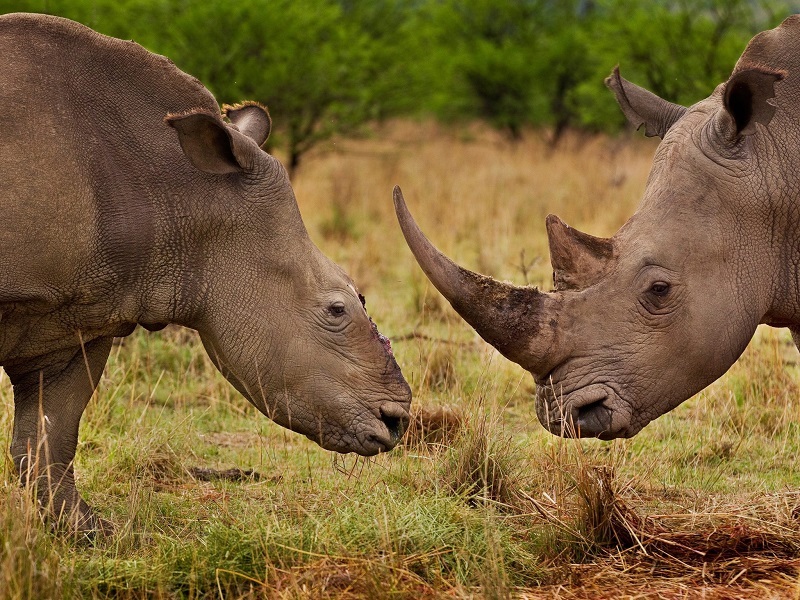 Sadly, this is not the only incident of rhino horn trafficking in Zambia this year. In July, a Chinese woman was arrested at O.R. 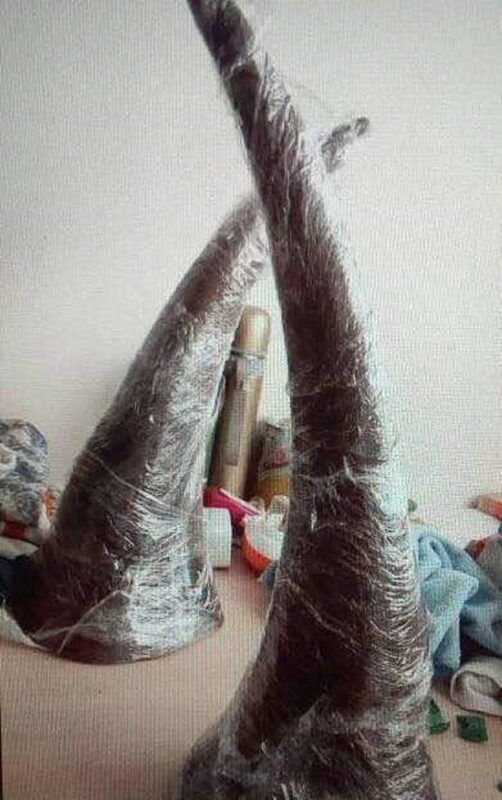 Tambo Airport, Johannesburg with 20 kilograms rhino horn after having flown from Kenneth Kaunda International Airport in Lusaka, and in October – two Chinese men were arrested with 6.2 kilograms of rhino horn in Ethiopia after having flown from Ndola, Zambia on their way to Bangkok. However, the verdict is a clear message that the Zambian criminal justice system will not tolerate illegal wildlife trade across the nation’s borders. Wildlife crime is the fourth-largest global illicit trade after narcotics, counterfeiting of products and currency, and human trafficking. 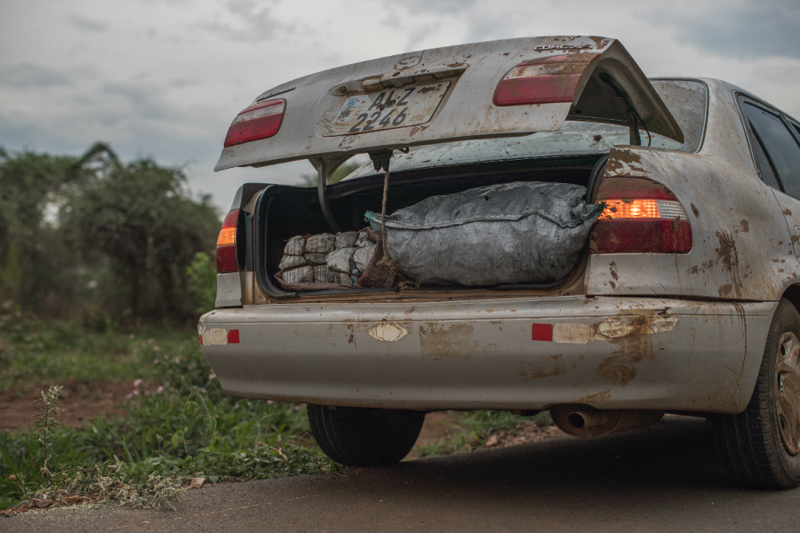 Fuelled by corruption and greed – it exchanges the lives of humans and wildlife for products that are smuggled by criminal syndicates. Economic opportunities from our own nation and its future generations through tourism, hunting and game farming are also diminished by this illegal activity. In response to the ever-increasing threat that wildlife crime has on our environment, economy and populations in Zambia, the government has increased the penalties associated with the possession and smuggling of wildlife products. Under the Zambia Wildlife Act, no. 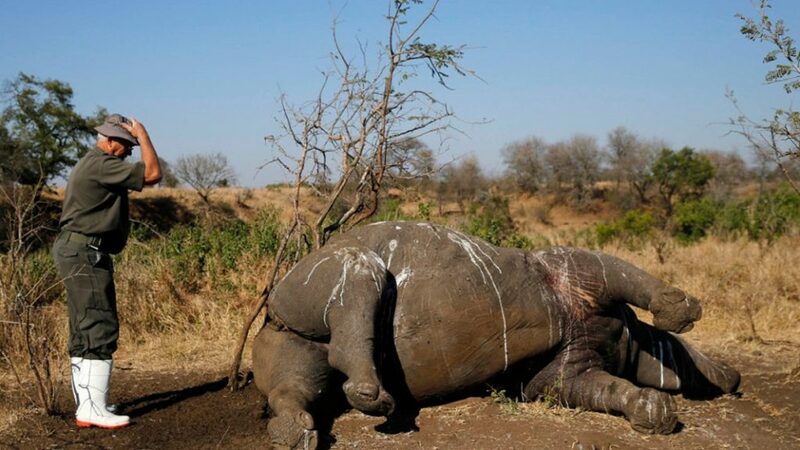 14 of 2015 illegal possession of trophies such as elephant ivory and rhino horn are punishable with sentences of between five and ten years imprisonment with no option of a fine. It’s clear that Zambia will not stand to be used as a transit hub as it increases law enforcement and security at its border posts such as Chanida. Law enforcement efforts are increasing so that perpetrators of wildlife crime, stealing from our own national heritage face a much higher risk of capture and imprisonment. The Department of National Parks & Wildlife works hard to ensure Zambia will not be used by these criminals to perpetrate this dangerous trade and damage our nation. In delivering judgment – Magistrate Fred Musaka said that sending the five to prison would serve as a lesson to other would be offenders. The five were then sentenced to five years imprisonment with effect from the date that they were arrested.